How much are your delivery costs ? The shipping costs are calculated as a percentage of the value of the goods. The current delivery time will be shown on the shop during your ordering process. You will also receive an email informing the current status of your order. We usually deliver between 4 and 8 weeks, depending on the availability and the type of the product. Since we avoid stock of our products, we start to produce the items after we received your order. Therefore the product becomes more sustainable with a better carbon footprint. We try hard to produce your items as fast as quality allows us. In case you have a certain delivery deadline for some items, please feel free to contact us directly to discuss a solution together. We deliver our orders via UPS and via our freight forwarder partner for the big items or big orders. You will receive an email from us once we hand the goods over to the transport partner. We use UPS to deliver smaller orders in maximum of three packages. Anything more than this will be packed onto a pallet and transported by our forwarder, Piano Express. You will receive further delivery information as soon as we have prepared the goods for shipment. UPS will deliver your package or the DEUTSU-Funiture flight case to your front door. UPS will send you a seperate email with the delivery tracking number, which you can track your consignment online. A total of three attempts will be made to deliver your goods. If unsuccesful, your package will be left at a UPS branch for collection. You will find the address on the collection certificate left in your letter box. Our tip: If a neighbor has agreed to accept your goods for you, leave a message on your front door. Unfortunately, deliveries cannot be made in the evening or at weekends. For standard delivery, our forwarding company partner will deliver the goods inside your home. You can choose if an assembling service is desired. In case that our products are delivered in the flight case (our fragile products), the empty flight case box will be taken back right after the furniture is assembled by forwarder. What will happen to the furniture-flight case (fragile products) after the goods is delivered? We supply our fragile products like the coffee table with glass, ceramic & stone plates in the safe flight case. The flight case box as a reusable packaging for our exclusive products enables the perfect and risk free delivery of the products with the high-quality plate materials to our customers. This also contributes to the sustainable handling of raw materials. The simple construction with only one tool enables the customer himself or a local craftsman or an experienced forwarder on site to easily assemble the furniture. UPS: the flight case will be dropped off at your door and you can assemble the furniture yourself or if you prefer by an arranged local craftsman. Within Germany, the flight case can be returned free of charge by using the added return ticket that comes with the case. You can easily contact UPS after you finish assembling the furniture and the flight case will be collected. We trust our customers and hope you appriciate the reuse-flight-case-delivery-system and will be help us to produce less packaging waste. Thank you for your help. Forwarding Company : will unload the goods from the case, assemble and collect the empty flight case back immediately. However, if you decide to assemble the furniture yourself, our forwarding company will then deliver the flight case only to your door. Within Germany, the flight case can be returned free of charge with the added return ticket via UPS. Can I collect my goods myself? We will be in touch with you as soon as your products are available. Please transfer the invoice amount prior to collection. Or alternatively, you can pay using your EC / credit card. Please note that we do not accept cash payments. Our showroom in Munich opens from Monday to Friday between 9:30- 13:00 and 14:00-17:30. Please arrange an appointment prior to your arrival. 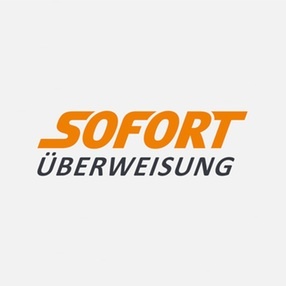 For loading and unloading products, please use the entrance on Landsbergerstrasse 234, 80687 Munich, back building, lift zone West. You can track the status of your order online in your DEUTSU account at any time. Log into your DEUTSU account and select “My orders”. How do I receive items with different delivery times? If an order contains more than one product we will try to deliver all items in one shipment. Partial deliveries are also possible upon payment of a surcharge and additional shipping costs. In which countries can you order DEUTSU products over the Internet? We recommend that you use the first link in the footer, at the bottom of our website and select your country from the list of shipping destinations to ensure that the most accurate pricing and delivery costs are displayed whilst browsing our site. Local VAT will be applied for all EU destinations and the UK. Once you have completed your order, we will send you an order confirmation by e-mail that includes our bank account details. Please transfer the total amount due to our account. As soon as we have received your payment, the ordered goods will be dispatched. Please include your order number in the "Reason for transfer". Direct banking allows you to use your online current account to pay for your order instantly while completing the order process. This payment method requires online banking login details (PIN and TAN). Continue by following the instructions that will be displayed during the order process. Note: Please disable the pop-up blocker in your browser. You hold a current account. Sufficient funds are available in your account. We will debit your account when the order is dispatched. 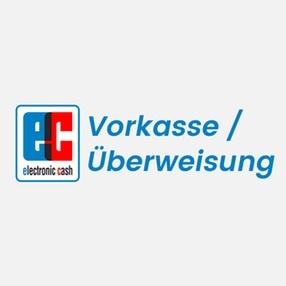 The buyer informs his bank to pass on his name, address and bank account details to DEUTSU GmbH in case the direct debit cannot be cashed in. Any charges incurred by cancelled payments or insufficient funds will be forwarded to the customer. 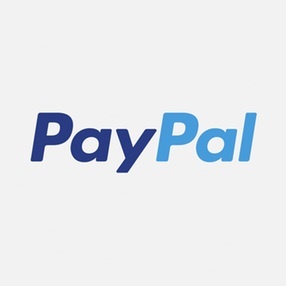 We offer you the easy and safe option of paying with PayPal. 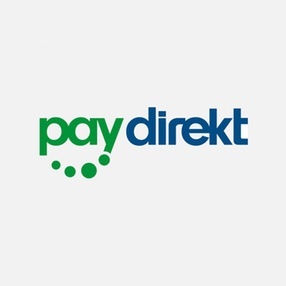 For this method of payment, you simply use your bank account or credit card details saved on your PayPal account, instead of having to re-enter these details for every online purchase. 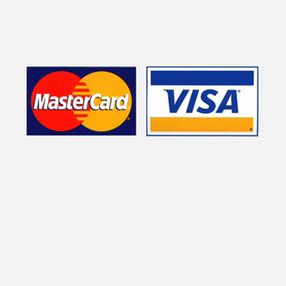 You can pay by Visa, MasterCard or American Express. In this case, simply enter your credit card details in the fields provided. Where can I find the security number? On the back of your credit card, look at the top part of the signature frame. Here you will find a 16-digit credit card number and 3 further digits at the end. These 3 digits are your security number.